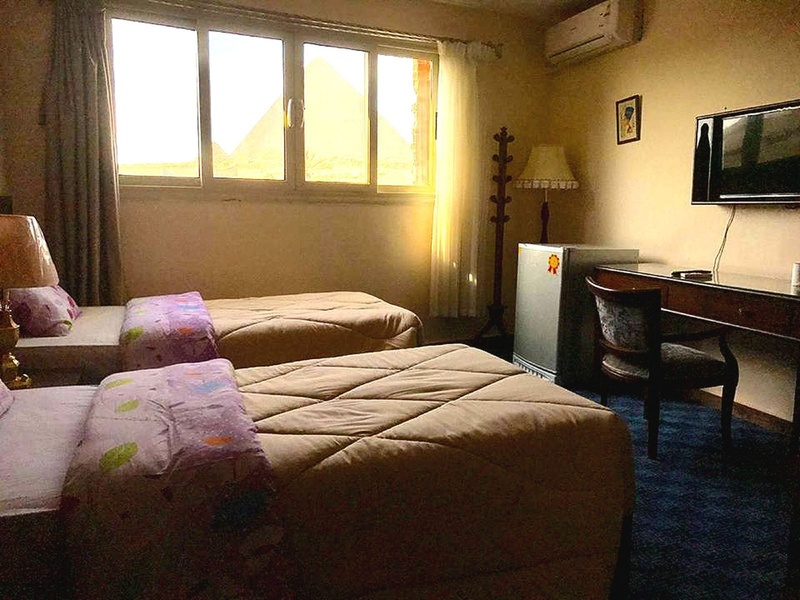 Property Location Located in Giza (Al Haram), 3 Pyramids View Inn is within a 10-minute walk of Giza Pyramid Complex and Great Sphinx of Giza. This guesthouse is 12.3 mi (19.8 km) from Tahrir Square and 12.5 mi (20.2 km) from Egyptian Museum.Rooms Make yourself at home in one of the 12 air-conditioned rooms featuring LCD televisions. Complimentary wireless Internet access keeps you connected, and cable programming is available for your entertainment. Private bathrooms with showers feature complimentary toiletries and hair dryers. Conveniences include safes and desks, and housekeeping is provided daily.Amenities Enjoy recreation amenities such as bicycles to rent or take in the view from a rooftop terrace. Additional amenities at this guesthouse include complimentary wireless Internet access and tour/ticket assistance.Dining Take advantage of the guesthouse's 24-hour room service. A complimentary local cuisine breakfast is served daily from 8 AM to 1:00 PM.Business, Other Amenities Featured amenities include a 24-hour front desk, multilingual staff, and luggage storage. A shuttle from the airport to the hotel is complimentary (available 24 hours), and a train station pick-up service is also provided at no charge.